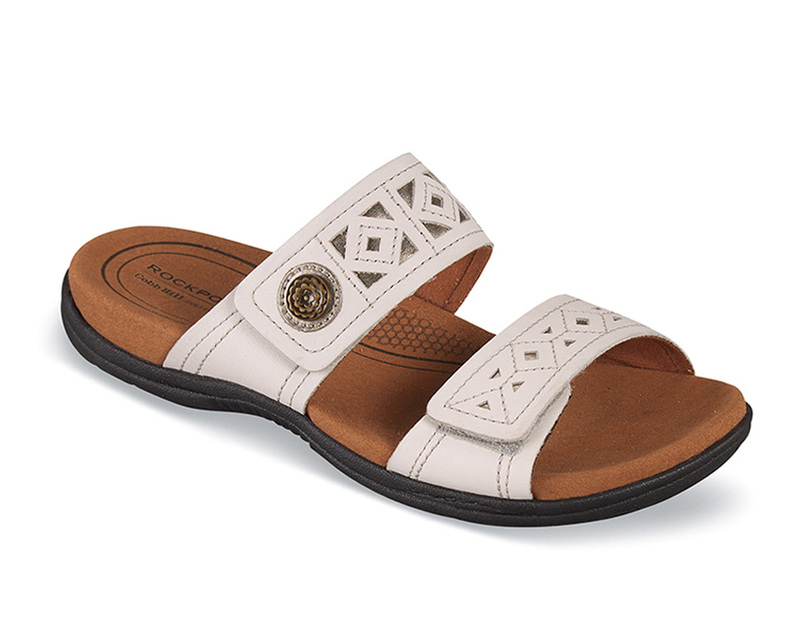 The white “Revsoul” comfort slide sandal from Rockport’s Cobb Hill collection has attractively tooled straps that adjust across ball and instep to your liking. 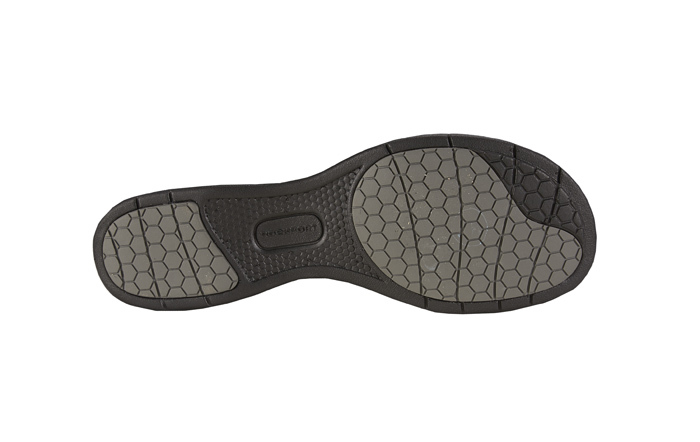 The lightweight sole has a molded foam footbed and rubber inserts at forefoot and heel for improved traction. Originally $89.95. Limited stock in women’s whole sizes in 2E wide fit in sizes indicated.